‘The Trust Sketchbook’ is a guided, reflective, journey, through the Landscape of Trust. It’s the first publication from two years of research into ‘how trust works’, and ‘what we can do about it’, that i’ve been carrying out with a global network of research partners. 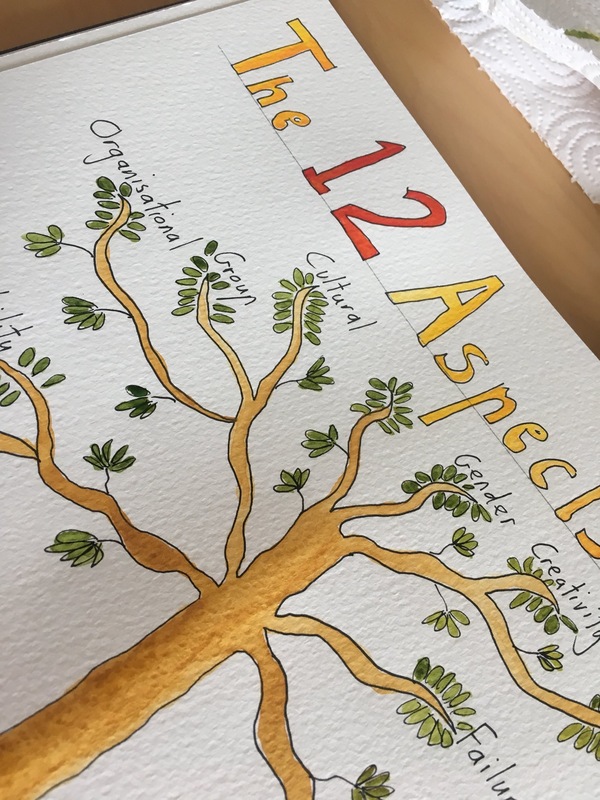 It identifies 12 key aspects of trust, that were of most interest to the research participants, and creates space to explore them. This is a book with no definitive answers, because, when it comes to ‘trust’, there probably are no universal truths. Rather, it provides a structured journey, shaped by the research, as to which areas of the Landscape of Trust we may wish to look into ourselves. And it provides pointers, and guidance, along the way. The entire research methodology is based upon asking people to share their stories: ‘what trust means to me’, ‘how trust grows’, ‘how trust breaks’, ‘how trust flows’, and so on. The analysis of these stories has shown wide variety and interpretation: for some people, ‘trust’ is a matter of ‘belief’, for others, it’s ‘love’, whilst some people describe it in very transactional terms. Some people say you can only ever trust other people, whilst others trust Google. Or don’t. It’s clear that trust flows more easily within known spaces, broadly to people who are similar to ourselves, and this understanding has led me to entirely revise the way i describe ‘communities’ in Social Leadership, adding in the whole layer of ‘tribes’ and ‘trust based structures’. 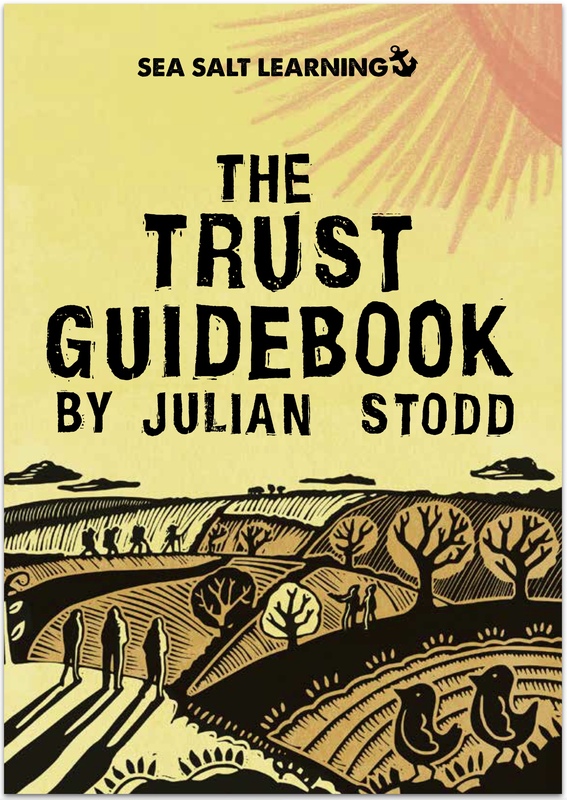 Accompanying ’The Trust Sketchbook’ is ‘The Trust Guidebook’, which does exactly what it says: it takes the 12 key aspects of trust that came out of the research, and provides an overview of the findings, and poses questions you may wish to ask of yourself, and your teams, as you explore. The Sketchbook itself is not so much written, as drawn: it’s a series of 12 double spreads, each hand illustrated, in watercolour, and ink, representing half a picture. To complete the Sketchbook is to finish the book: you are encouraged to capture your thoughts, notes, and sketches, as well as to deconstruct, and graffiti, the elements that i have already drawn for you. In that sense, The Trust Sketchbook mirrors my own journey into this area: taking a word that i use everyday, and a concept that i clearly understand, and holding up the mirror of other people’s truth. I think that after two years of work, looking at the nature of trust between individuals, within communities and teams, and into Organisations themselves, i have found very little certainty, except the certainty that to effect change will require us to reach beyond those people who we already trust. The Landscape of Trust research has affected my broader work in this way: i now say that to build the Socially Dynamic Organisation, we will need to collaborate in complex ways, not simple ones, to hear stories that we disagree with, not simply ones that comfort us, and to engage in communities of dissent, where we lack the trust that we find within our known tribes. To change will require the humility to reach beyond the certain, and to do so in no knowledge that anybody will catch us. 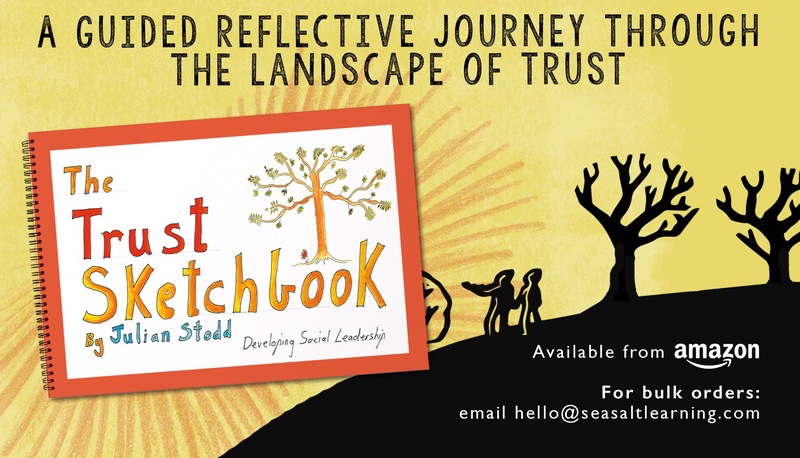 The Trust Sketchbook is available on Amazon, globally, now, fulfilled by Sea Salt Learning, or you can order direct by emailing hello@seasaltlearning.com with the subject line ‘Trust Sketchbook’. This entry was posted in Trust and tagged Books, Change, HR, illustration, Leadership, Social Leadership, The Trust Sketchbook, Trust, Writing. Bookmark the permalink.